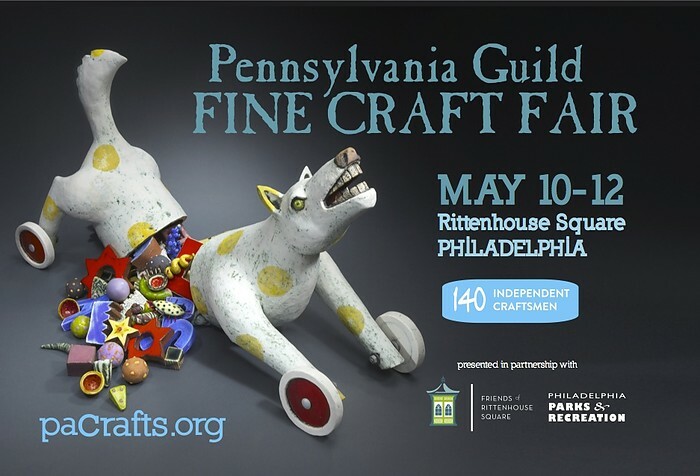 On Mother's Day weekend, I will be exhibiting at the outdoors Fine Craft Fair at Rittenhouse Square sponsored by the Pennsylvania Guild of Craftsmen. 140 independent craftsmen will be displaying their work all around the perimeter of this incredible in-city green space. You can find me on Rittenhouse Square South near the corner of 18th Street (SE corner of the Square). While at the Square, visit the new Parlour Shop at the Philadelphia Art Alliance of Craft and Design. This new permanent shop features my work together with that of over 30 local artists.